Watch and you’ll see them come out of the hive. One…two…three…four…five! Watch and you’ll see them land on the floor. Watch and you’ll see them come out of the tree. One…two…three! 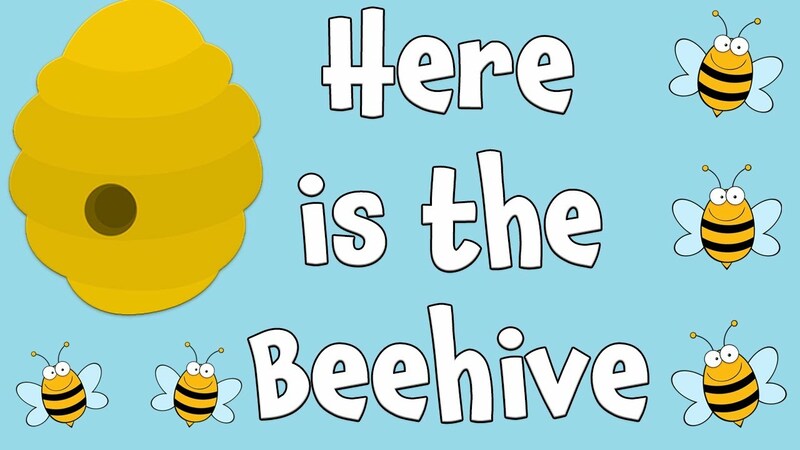 Buzz…buzz…buzz.Here is the beehive, Where are the bees? Watch and you’ll see them come out of the hive. One…two…three…four…five.